Included below are historic for sale in San Diego. If you would like more information on any of these San Diego historic real estate listings, just click the "Request More Information" button when viewing the details of that property. We can provide you with disclosures, past sales history, dates and prices of homes recently sold nearby, and more. And, if you haven't already, be sure to register for a free account so that you can receive email alerts whenever new San Diego historic houses come on the market. Listing information last updated on 4/21/2019 7:30 AM. Historic properties are found throughout San Diego in the communities of La Jolla, Del Mar, Coronado, Point Loma, Mission Hills, Rancho Santa Fe, North Park, South Park, Burlingame, La Mesa, Golden Hill, Bankers Hill, Park West, Downtown San Diego, and beyond. Take a look below to learn about the different styles of architecture that this city has to offer and how those who are interested in buying one of these unique properties can benefit from preserving history. Dating back to the Spanish conquistadors, Spanish Colonial homes are often single story and characterized by thick stucco-clad walls, wood support beams, flat roofs, inner courtyards, and terracotta tiles. In San Diego, these can predominantly be found in La Jolla, Rancho Santa Fe, Point Loma, National City, Mission Hills, La Mesa, and Kensington. Primarily built by Frank Lloyd Wright and originating from the midwest, Prairie Style homes are known for open flowing spaces, low-pitched roofs, wide eaves, horizontal lines, and horizontal bands of windows. Buyers looking for one of these properties should focus on Mission Hills where this style home was built between 1910 and 1920. Victorian homes are narrow and tall with an asymmetrical design and large windows, towers, turrets, decorative trim, stained glass, and spindles. Beaux Arts, Colonial Revival, and Medieval Gothic influences are prevalent in Victorian era design. Victorian architecture includes Italianate, Gothic Revival, Queen Anne, Folk Victorian, Shingle, Stick Style, Second Empire or Mansard, Richardsonian Romanesque, Eastlake, and Octagon. 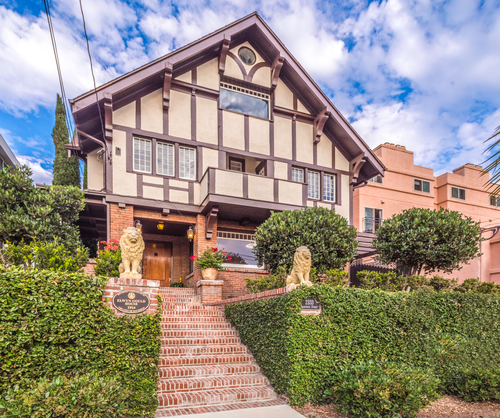 Charles Sumner Greene and Henry Mather Greene , brothers in Pasadena California were inspired by the English Arts and Crafts movement and Japanese architecture seen at the World’s Columbian Exhibition when they began designing Craftsman homes. Craftsman Bungalow homes are famous for their low-pitched gabled roofs, built-in cabinetry, single dormers, tapered columns, partially paned front doors, multi-paned windows, beams under deep roof eaves, and front porches. These homes can be found predominantly in the city’s Golden Hill, Point Loma, Kensington, Park West, and North Park neighborhoods. Originating from the Exposition Internationale des Arts Decoratifs held in Paris in 1925, Art Deco designs are also referred to as style moderne. Built in the 1920’s-1940’s, Art Deco architecture evolved into Art Moderne and Streamline Modern in the 1930's. These homes features a block-like construction with a sleek linear appearance that’s accented with geometrical design elements. Look for this style in Point Loma, Ocean Beach, La Mesa, and National City. Southern California is perhaps best known for mid-century modern architecture with its floor-to-ceiling windows, exposed beams, flat planes, and open floor plans. Midcentury modern is an architectural style behind the beliefs of social change and a better society with the majority in the post-World War II era, however it began in the 1930s up until the late 1970s. These homes can be found in many neighborhoods, but pay close attention to coastal San Diego, Old Del Mar, and La Jolla. In particular, National City, the second largest city in San Diego Country, has had a lasting impact on the area’s historic real estate market. The city as we know it today was founded in 1868 by Frank, Warren, and Levi Kimball. The brothers were builders, who made a point of creating roads, railroads, and even a sea port in the territory that they had purchased from Mexico. As they continued to build opportunity for industry, the city boomed. So did its real estate. Thankfully, over 250 of the original, Victorian-era homes are still standing today. While some of these properties - like the Kimball’s own home, which was famous for having indoor plumbing at the time of their inhabitation - have been turned into museums, many are still functioning residences. Since San Diego has such an active historic market, there are provisions to help ensure that its legacy continues. One of these is the Mills Act, which offers significant property tax breaks (usually 65%-85%) to homeowners who have had their home registered as a historic landmark and listed on the city’s historical registry. Your property could be listed on the National Register and or California Register, but if the city of San Diego has not designated it historical, your property is not eligible for the Mills Act. What Constitutes a Historic Home? Exemplifies or reflects special elements of the City's, a community's or a neighborhood's historical, archaeological, cultural, social, economic, political, aesthetic, engineering, landscaping or architectural development. Is identified with persons or events significant in local, state or national history. Embodies distinctive characteristics of a style, type, period or method of construction or is a valuable example of the use of indigenous materials or craftsmanship. How Does The Mills Act Property Tax Reduction Work? To make use of the Mills Act, homeowners must first apply to have a historical survey done by the Development Services Division in order to ensure that the property fulfills the proper requirements to be considered a historic landmark. Once the application process is complete and the home has been added to the city’s historical registry, the homeowner is then entitled to a tax break, based on their property’s value, for a period of ten years. In exchange for the tax break, the homeowner must agree to rehabilitate, and maintain the property to a standard that preserves its historical significance. Any work done to the property must be agreed upon by the Development Services Division and they reserve the right to perform inspections, as needed, to ensure that the property is being sufficiently maintained. Interestingly enough some buyers looking at older homes have no intention on preserving history. They may have a desire to do a studs up remodel or make other drastic changes and could run into trouble when pulling a permit if the city all of a sudden wants to designate the site as historically significant. Or they wouldn't mind obtaining historical designation so they could then apply for Mills Act tax savings. In either case a buyer would want to meet with a consultant who has experience preparing a Historical Resource Research Report in San Diego. A current list of San Diego Historical Consultants can be found HERE. Another helpful resource is San Diego Development Services to view actual historical districts throughout San Diego. Bill Gasset out of New England has a helpful list compiled of 11 Potential Problems to look for when purchasing an older home. 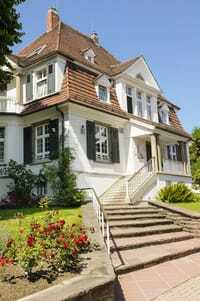 An older home comes with more ongoing maintenance and diligent care than a newer residence. Need More Information as a buyer in San Diego? If you’re having thoughts of buying or selling in San Diego, please do not hesitate to contact Aumann Bender & Associates with any questions or to begin your househunting process. We look forward to hearing from you and welcome the opportunity to help you find the home that best suits the needs of you and your family.